Basement Mold Problems Because air moves up in your home from the bottom floors through the roofing and upper levels, mold in the basement implies mold in your house. And in apartments and rental homes, the Journal of Property Management reports that lawsuits are being filed in mold-related problems by the tens of thousands. Actually, the huge number of general liability and home insurance companies have left out mold from their coverage. This, integrated with the lack of procedures set at the Environmental Protection Agency in acceptable outcomes for mold testing, has actually led to a legal battleground, where building managers and property owners are most often the casualties. Mold Rot in a Basement, Ignoring a mold problem results in costly house damage. Repairs can be long and complex, and sometimes, the building’s residents could require to be relocated till the work is done. Headaches, stuffy noses, and other allergic reactions that fade quickly as soon as a property owner has actually left the residence are hints that indoor air contaminants and allergens have actually reached unacceptable levels. And, as Glenn Fellman, executive director of the Indoor Air Quality Association reminds us, “If you are reacting to a problem because somebody’s been ill, you’ve waited way too long to attend to indoor air quality”. It’s crucial to handle the problem as soon as possible. Mold can grow anywhere where there is hi-humidity, temperature levels above 40 degrees Fahrenheit, and organic material to consume. With the material, wallpaper, carpets, dust, natural leather, wood, and paint can all work as mold food. According to the Journal of Property Management, one square inch of drywall can hold as much as 10 million mold spores. Hundreds of mold spores can inhabit a single cubic meter of air, and one person breathes 10-12 cubic meters of air everyday. Mold spores can lay dormant for many years, waiting for a chance to grow. Mold can impact a human being with inhalation, consumption, and skin contact. Mold grows any place there’s moisture, most notably near old plumbing, leaking roofs, and in damp basements and crawl spaces. If the house was a water problem, it’s incredibly essential to repair the problem immediately- all flood-waters need to be removed in less than two days (48 hours). Health Problems from Home Mold and Allergens-Symptoms of mold allergies- allergic rhinitis- consist of a runny nose, watery eyes, a scratchy throat, fatigue, overall discomfort while breathing, and lots of various other issues. In some uncommon cases, mold can even be toxic. The American Lung Association has shown that 88 million individuals throughout the UNITED STATE suffer from some sort of respiratory distress, with 50 % of homes have at least someone with allergies, asthma, or another respiratory condition. Most residents will try to use mold-resistant layers to keep mold from an area. However, these coatings are really restricted in effectiveness. While mold can not grow on these coverings, it can still grow on everything that is not covered. And even if you coated your ventilation system, all natural and organic material, and everything brought into the area, mold can still grow on dust, and its spores can still exist in the air. The simplest and most efficient mold-prevention technique and the technique advised by the ENVIRONMENTAL PROTECTION (EPA) is to decrease interior humidity. Combined with eliminating all sources of water leak in the house, sealing penetrations in floors and walls, and getting rid of all sources of freestanding water, reducing the humidity level below 60 % is an efficient method in order to get rid of mold. This makes a lot of sense: the home will end up being more comfortable, the residence will experience increased energy-efficiency as it conditions the dry air, and since dust mites likewise need elevated humidity levels to survive, lowering humidity will do two times duty. A dehumidifier is the answer. 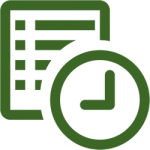 Nonetheless, selecting the most effective basement dehumidifier may be a difficult prospect. 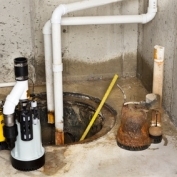 Basement Mold Damage remediation Companies. When Basement Mold Damage does take place, promptly calling professional remediation companies for assistance is recommended. 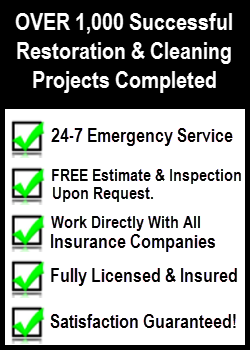 As each scenario is different, remediation specialists can examine a property owner’s needs and advise specific Crawl Space and Basement Mold Clean-up and repair work solutions. 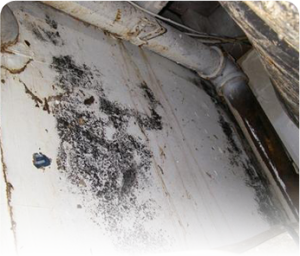 To schedule Basement Mold Damage Inspection appointment, call 888-651-2532 or click here.